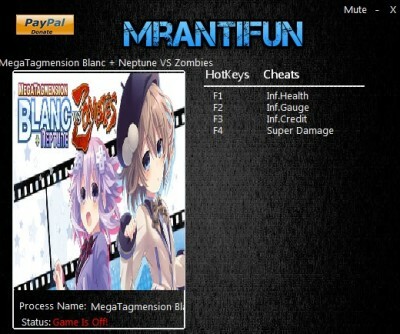 In this article you can download MegaTagmension Blanc + Neptune VS Zombies cheats. This trainer +5 has been created by MrAntiFun for game version 1.0+. All cheats on our site you can download without registration, so this hack available for download free. With this trainer you will get the advantage in your game. But first, a bit of information about the game. 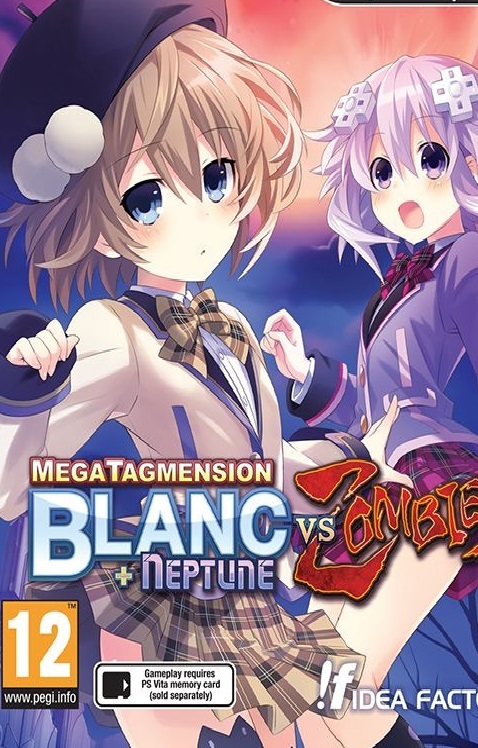 MegaTagmension Blanc + Neptune VS Zombies is a fun hack ‘n’ slash game for the PC. School Gamicademi was very popular but is now losing its former glory. In order to get her back in the spotlight, Blanc and her friends decide to shoot a zombie movie on campus. But something went wrong on the set were real zombies. Now you need to fight them, to protect others.